If you are seeking a role as a Bus Driver then you will already know that you have to have passed your exams and tests to be able to carry passengers of that volume. There are strict procedures to follow which will include a training period with that bus provider to demonstrate your knowledge of driving a large vehicle as well as being responsible for all your passengers. On top of this, you will be required to ensure that you have good knowledge of the local area and that you will know your bus routes well. In case of diversions you must have a good knowledge of where you could go although this will usually be planned in advance, you cannot always prepare for emergency situations. I am hardworking and conscientious in my work. I enjoy driving and learning new routes in different areas. I am a patient person and have had many years dealing with the general public and feel that I do this well. I am thorough and organised, I always ensure that I go through my transactions against number of passengers to make sure that these balance correctly. I have a strong background in driving and also carrying passengers and feel that a career as a bus driver would be very rewarding. I also have experience of dealing with children and taking them to school and collecting them as arranged by their parents and I am familiar with most of these routes and timescales also. I am a very trustworthy person and can mix with a wide group of people. 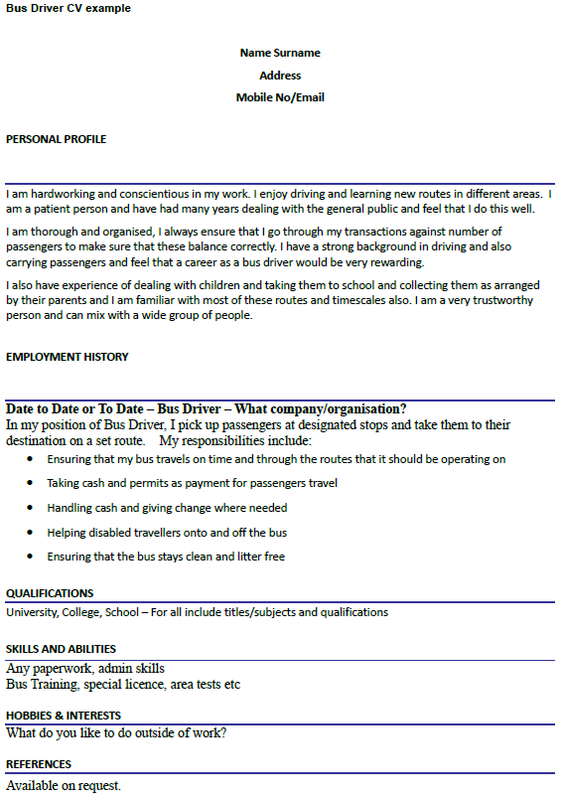 Date to Date or To Date – Bus Driver – What company/organisation?